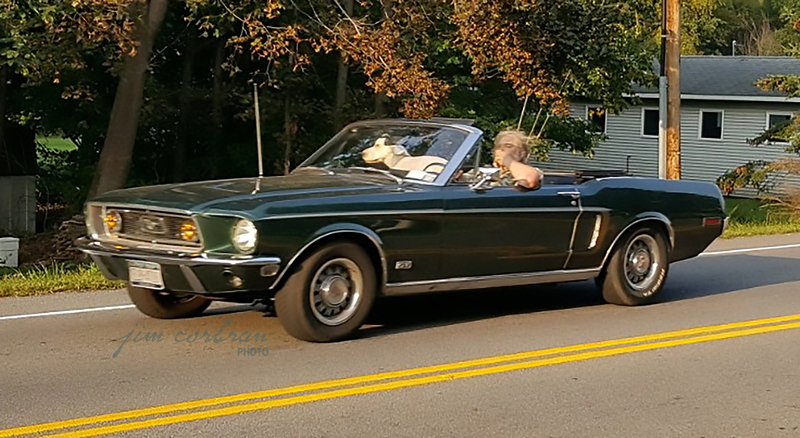 Caught this 1968 Ford Mustang passing us by on a walk through the Town of Marion last summer during a family gathering. You can see here that the dog seems to be enjoying the ride as much as the driver; what you can’t really see here is the giant cigar in the driver’s left hand, a cigar which made its presence known before we ever saw it, if you get my drift! This well-preserved convertible has the GT option package, which among other goodies includes the fog lamps, gold side stripe, and rims you see in the photo.